Success in business can be measured via the triumvirate of economics, efficiency and engagement and this year Betinvest, the leading provider of advanced digital solutions for the sports betting industry, has hit all three and more as the company previews its financial report for the past year. Whether through the rise of eSports across Asia, the keen international interest in the FIFA World Cup or a focused strategy on global expansion via B2B events, Valentyn Kyrylenko, Betinvest’s VP of Business Development is confident this encouraging data is just the tip of the company’s sustained growth. What did 2018 look like to BetInvest from both a financial perspective and in terms of growth? In terms of results, our financial indicators confirm a confident positive trend. For example, the EBITDA indicator shows a considerable increase of 146% this year, which is mostly thanks to discovering new partners who are seeing great benefits from our products. Following on from this year’s success, we’re looking forward to our global third-party integration, investments and other projects coming online next year. In 2018, we expanded into a number of new markets and taken many new opportunities. Our updated modular platform means we can now provide our clients with flexible product localization options which is a key improvement our products and services will benefit from next year. Overall, during the last two years, we have increased our investments in R&D by 49%. One beneficiary of this is we’ve dramatically increased the loading speed of our mobile application so it can be used anywhere, even with a slow internet connection. This will enable our new partners in African countries to double their revenue, and ensure all of our clients can be confident that their business won’t be affected by poor internet connections. We’ve also upgraded some of our CRM modules to enable our clients to provide offers tailored specifically to their players. It is a very important option for both our current and new clients. In addition to customer focus, we have also improved the quality of our internal services for partners by establishing a new Customer Success Management department to provide clients with support and advice and this innovation will launch very soon. Alongside this growth, we were also shortlisted in the Sportsbook Supplier of the Year and Acquisition and Retention Partner categories at the SBC Awards and the EGR Awards events, respectively, and were very proud to receive the Hot Hit award for the best product at G2E Macau 2018. Sportsbook has been a major player in the industry this year. What trends have you seen in your results? Since we are a sports betting company, Sportsbook is always our key product and it had a very high profit margin this year. Our partners really saw the benefits during the 2018 FIFA World Cup when our pre-match and live odds enabled them to gain the maximum profit, regardless of the matches’ outcomes. We know Betinvest’s strength is in our team of traders and have founded our own trading school, while continuing to work on our own profitable range of markets on sport statistics (live and pre-match). This year, we have also added around 10,000 new events to our Sportsbook, with the ultimate goal to offer all world sporting events. A new global trend in the betting industry is eSports, which is developing at a rapid pace. The rise of eSports is directly linked to its explosive growth in the Asian and South Korean markets. Over the last five years, the number of viewers has increased tenfold and the prize fund has exceeded $1 million. We couldn’t ignore this worldwide trend and plan to develop our product line to include an online eSports platform which forms an important part of our strategy for the upcoming year. You’ve ventured into new markets this year in an attempt to break out of Europe. How has this impacted on your revenue for 2018 and what are your predictions for the African and US markets? First of all, this has had an impact on both our vision and our understanding of appropriate strategies within the new markets. As part of our R&D investment, we have researched exactly what the operators need in those markets so we know where our focus needs to be. We will continue to work on enhancing our global position next year and we predict that, by entering new markets, we will see a revenue increase of at least 40% from Sportsbook operators. In addition, BetInvest is a sports betting ecosystem and we offer our partners a variety of related betting products to help them enhance their business. This year, our Romanian office developed and launched updated Terminal solutions and KENO. Our terminals have a very user-friendly interface and multilevel back-office support. 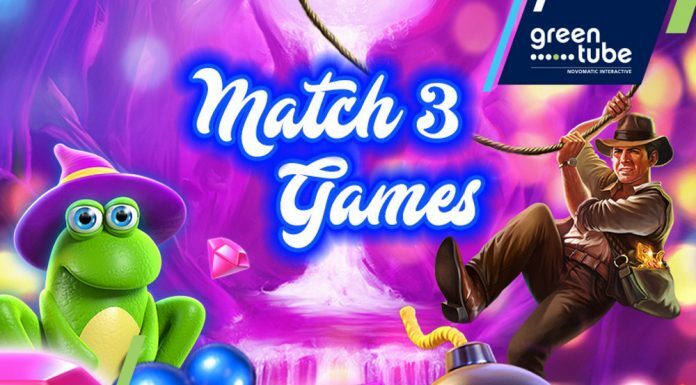 KENO has an interesting bonus system and players can place their bets with just two or three clicks. We’ve added 12 new Lotteries and integrated this product into our Cashdesk software so it is easier to use. We will continue to develop our set of virtual games, update our Roulette and voucher systems, and implement the NFC cards that we are currently testing. Looking ahead, what key plans does BetInvest have for 2019? First of all, our motto for the upcoming year is: “improve and simplify”. Our main focus will be on ensuring stable operation. First and foremost, we pride ourselves on providing our partners with reliable products and management tools, so we want to go even further to help them to take their businesses to new levels. Our in-house products will be a major part of our strategy for next year. All of them will be refined and improved according to the new needs of our clients which have come to light this year. We’ll implement new product services and IT capabilities, form new teams and launch innovative projects which will be relevant in all of our markets and will satisfy our clients’ requests. BetInvest’s trade show team were a hit at SiGMA, ICE Africa, G2E and Betting on Sport. Can you shed some light on your trade show strategy? This year was successful for us in terms of exploring and understanding new markets. We analysed the specific needs and relevance of our products within those markets. Attending exhibitions in a variety of countries enabled us to verify our assumptions. Events like these provide the perfect opportunity to truly experience the gambling industry within each market. All of the events were successful for us and we made a lot of new contacts which has helped to give us an understanding of what our focus and direction should be for further development in 2019. Coming next we also have ICE London in February, which is a flagship event for the gambling industry and it goes without saying we have something special prepared for it. We will be attracting visitors by presenting a completely new and unique sports betting product alongside our excellent exhibition space and portfolio. Everyone visiting our stand will be able to test our products, to ask our consultants questions and to pre-order our products and services. We will bring a very interesting exhibit which will ensure that no visitor leaves ICE London 2019 disappointed. 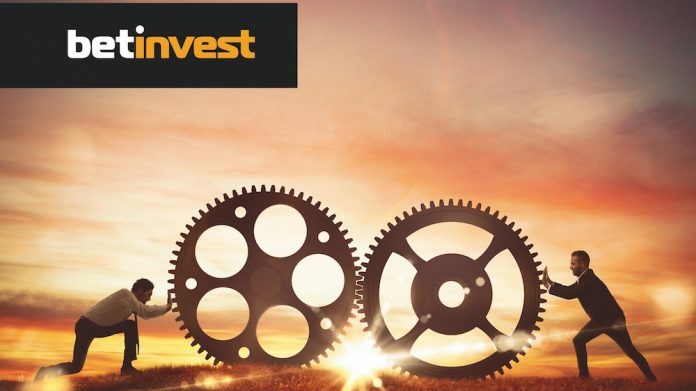 Betinvest will be exhibiting at Stand S2-324 at ICE London (05-07 February, Excel London, UK). 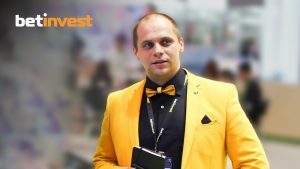 For more information on how Betinvest can help you discover hidden values in your customers at upcoming events, contact Valentyn Kyrylenko, [email protected], 38 095 231 30 44.